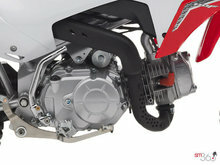 Four-speed gearbox with automatic clutch offers simple operation with easy, no-stall take offs. 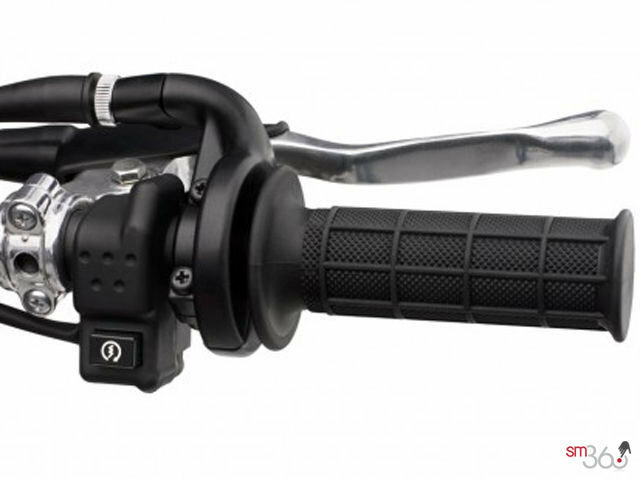 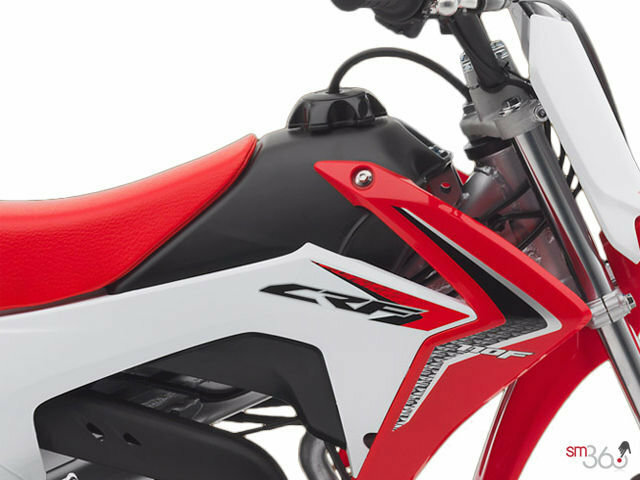 Adjustable throttle limiter allows parents to tune performance to match rider ability. 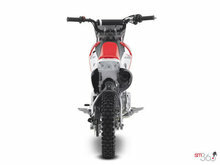 Quiet muffler won’t annoy the neighbors. 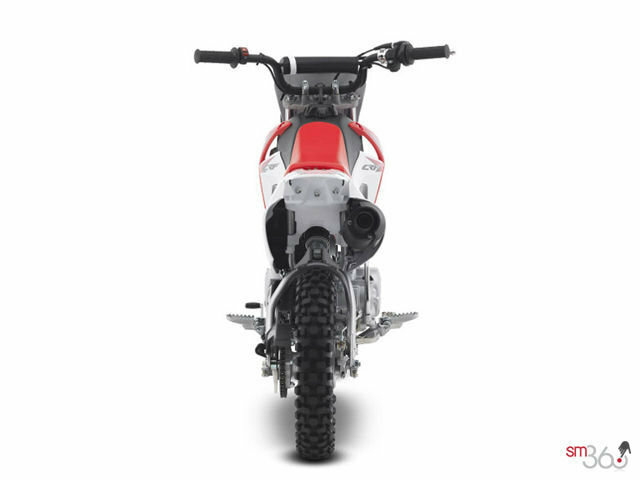 Steel backbone frame and swingarm blend a high degree of rigidity with a certain amount of tuned flex for excellent handling. The frame also incorporates safety covers at heat points and carrying handles for easy transport. 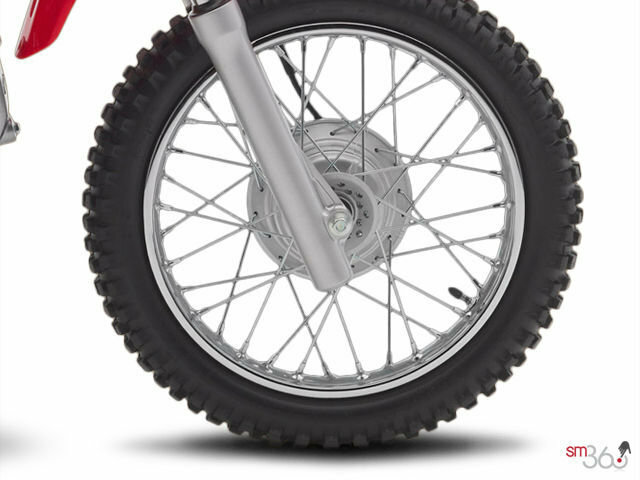 Low seat height of only 667 mm (26.3 inches). 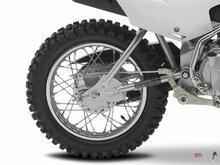 Upgraded suspension offers excellent traction and stability. The 31 mm telescopic front fork has 100 mm of travel, while the rear shock absorber features a 28 mm piston damper with 87 mm travel. 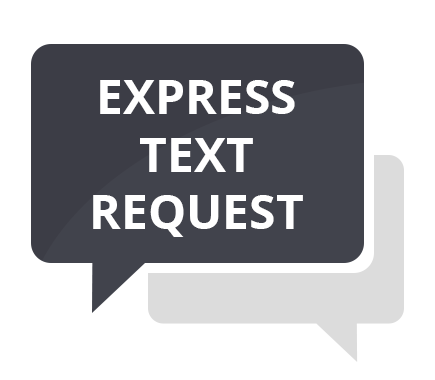 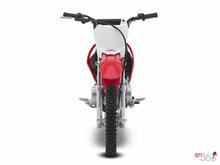 Exhaust muffler cover provides improved rider protection. 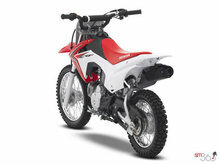 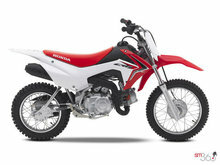 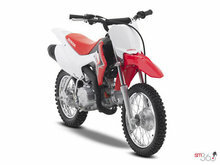 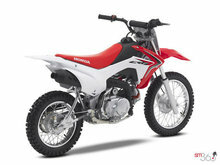 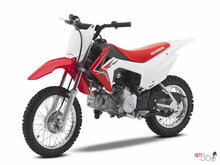 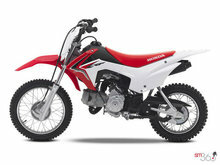 Dependable air-cooled single-cylinder 4-stroke 110 cc engine is tuned for the beginning rider. 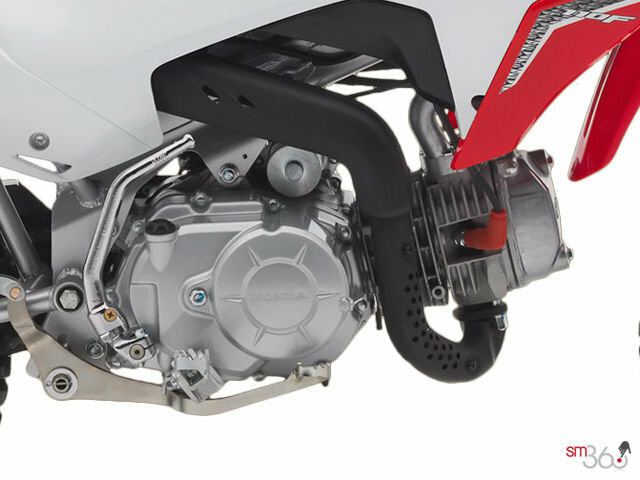 Maintenance-free CD ignition and automatic cam-chain tensioner simplify maintenance. Folding, cleated footpegs offer secure footing even in muddy conditions. Keyed ignition switch prevents unauthorized use. 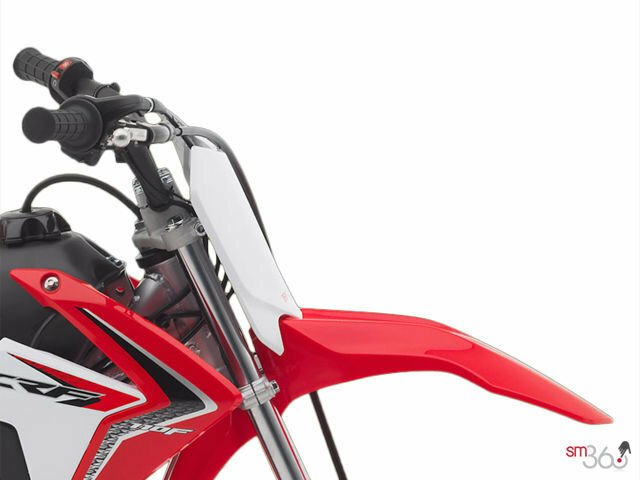 Small-size control levers enhance young rider comfort and confidence. 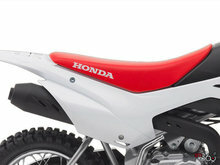 Easy-access washable foam air filter simplifies maintenance. Handlebar pad for additional protection.